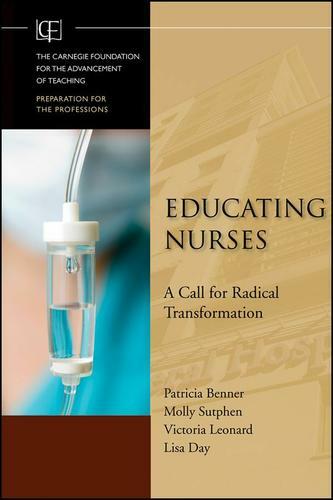 "This book represents a call to arms, a call for nursing educators and programs to step up in our preparation of nurses. This book will incite controversy, wonderful debate, and dialogue among nurses and others. It is a must-read for every nurse educator and for every nurse that yearns for nursing to acknowledge and reach for the real difference that nursing can make in safety and quality in health care." "This book describes specific steps that will enable a new system to improve both nursing formation and patient care. It provides a timely and essential element to health care reform." "The ideas about caregiving developed here make a profoundly philosophical and intellectually innovative contribution to medicine as well as all healing professions, and to anyone concerned with ethics. This groundbreaking work is both paradigm-shifting and delightful to read." "This book is a landmark work in professional education! It is a must-read for all practicing and aspiring nurse educators, administrators, policy makers, and, yes, nursing students." "This work has profound implications for nurse executives and frontline managers."